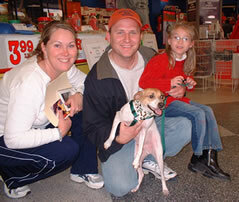 Cindy, Greg, Hannah & Peanut Were happy that you've come to visit our home page. Please feel free to look around and see what were up to. Drop us a note or e-mail when you get a chance. We would love to hear from you.